Okay I consider this as breaking news!!! Masato's character single jumped from rank 5 to 1st rank on Oricon's ranking chart on its second day of release. My biggest biggest congratulations to my dearest blue-haired prince. 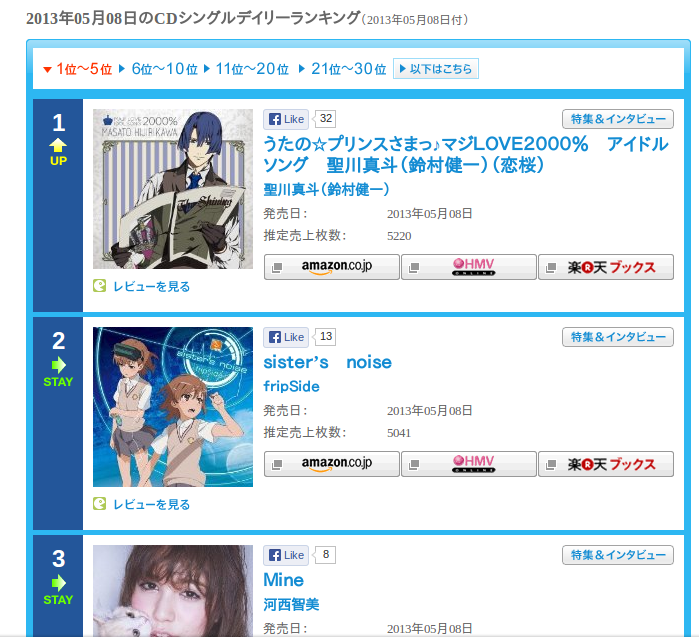 Edit: Reaching 1st in the Oricon charts is a first for UtaPri songs. Even the single Maji Love 2000% with ALL the princes at its peak reached #2.